The off-season departures have been happening for awhile now, but this time it was the club itself that initiated the moves. The BC Lions announced Friday that they had re-signed veteran defensive end Brent Johnson to a two year contract extension. They also announced the release of linebacker Javier Glatt and offensive tackle Jason Jimenez. 33-year-old Brent Johnson is back in the Lions Den for at least another two seasons, after inking a new deal with the team. The defensive lineman had just six sacks and 39 tackles last season, his worst output as a Lion, but remains an integral part of a defensive line that has always been one of the Lions’ strengths. Johnson, a two-time Outstanding Defensive Player winner, told BS in the Morning that he very seriously pondered retirement after the Lions were knocked out of the 2009 playoffs by Montreal. Glatt’s release was somewhat of a telegraphed move by Buono last season when the Canadian linebacker lost his starting spot to Jojuan Armour. Glatt had 362 tackles and nine interceptions in seven seasons with the team, including a big hit and fumble recovery that sealed the 2006 Grey Cup Championship for the Lions. Jimenez’s release was a surprise, mostly because we don’t know who the team has in miond for a replacement. Canadian Justin Sorensen played tackle in college, and after a year of experience and another off-season of training may be ready to assume the role, but the Lions seem to like to go with imports at the tackle position. 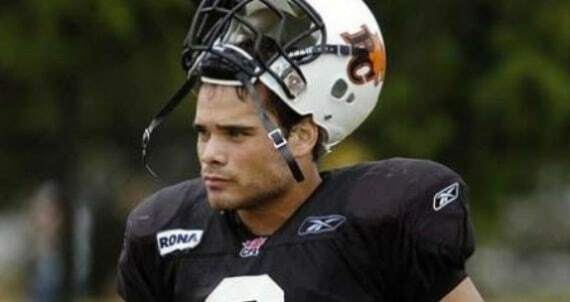 Jimenez joined the Lions in 2006, and was a CFL All-Star in 2008. UPDATE: More details came to light on the releases of Glatt and Jimenez. Our follow up is here.